Life for a woman in the Queensland Outback in the early twentieth century featured relentless chores and many hardships. She was often isolated from other women, far from the nearest neighbour and constantly battling the elements. To help relieve the isolation of their ‘sisters’ in the bush, philanthropic-minded women in Brisbane organised a book and magazine-lending service for families living in the Queensland Outback. It operated from 1921-67, taking advantage of reduced rates on the railroads to circulate parcels of reading matter. The Club began before the existence of a comprehensive system of public libraries in Australia. These elite city women sought to serve settlers in remote districts who had no access to a School of Arts Library. Bush Book Club organisers also sought to educate city dwellers about the sacrifices of the bush settlers, whom they regarded as heroic and hard-working, but in need of uplifting. Through the process of lending books, a long-running correspondence was established between country women and their benefactors in the cities. Their letters, excerpted in the Club’s annual reports, were filled with stories of all manner of hardships, from cyclones, floods, and punishing heat to fires, pestilence and farm accidents. The arrival of a parcel was a welcome diversion. The Club had offices in Brisbane, Townsville and Ipswich. It circulated 500 books each week to more than 2200 residents. For 2 shillings and 6 pence per year country readers were guaranteed four parcels, each with ten books and six magazines. Parcels circulated from reader to reader, instead of coming back to headquarters. Club secretaries in the northern and southern districts devised a carefully mapped out travel route, kept lists of their subscribers along each rail route and maintained a card file which listed each subscriber’s reading tastes. When books wore out they were given to lighthouses, railway, forestry, mining and road construction camps and to missions for Aborigines. Book distribution by rail was more challenging than in neighbouring New South Wales where rails ran fan-wise out from Sydney. 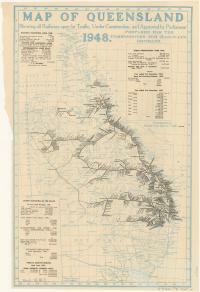 In Queensland there were several unlinked railway systems. Families would make their way to the nearest railway station to collect their parcels. Those living a long distance from the rail depot, made arrangements with private carters or the postal service for the next leg of the journey. The Queensland Government supported the Bush Book Club with a rail subsidy of £800 per year which made distribution affordable. Local carters carried books from the centres to the railway stations free of charge. Shipper John Burke & Coy gave free carriage for all parcels travelling by sea to the Gulf ports, lighthouses and islands. A map, hung in the Brisbane office, illustrated the immense territory covered by the Club - from Birdsville in the south to Coen, Cape York, and settlements along the Gulf of Carpentaria in the north. Books travelled to sheep stations near the Western border and to lighthouses up and down the coast. Parcels going to Burketown from the Townsville centre, went 1400 miles to Dobbyn where the rails ended, and then overland by private carrier. The central line extended to Longreach and Winton. 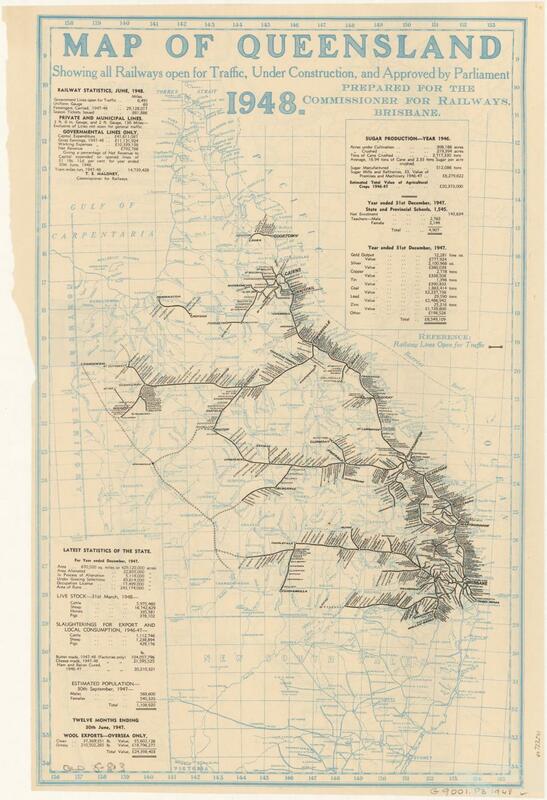 The southern line ran west to Quilpie and Cunnamulla and southwest to Dirranbandi. A trip of 1000 miles was not uncommon. Parcels might go 800 or more miles by train and then another 100 by car. In 1946 one member got her books from the closest rail depot, in Mount Isa, which was still 300 miles from her home. One reader in 1926 described a parcel travelling from Townsville, 414 miles by rail to Gilliat, where the mailman would take it another 20 miles. From there it would be carried by cart or automobile for another 60 miles and be left ‘at the fence’ which was still a three mile walk from her house. Deliveries to Cape York Peninsula came by boat to a port usually 50 or more miles away, and then by pack horse as late as 1955. The Club also had an arrangement with the Flying Doctors to help with deliveries. Settlers were grateful for the reading matter. Many had grown up in towns with book shops and Schools of Art and they carried the habit of reading into the bush. Tastes ranged from popular novels and poetry to serious works of history and science. H.G. Wells’ Outline of history was always at the top of the waiting list. The country women also wrote asking advice on household matters, requesting recipes or patterns or sharing news of their children. They came to view the corresponding secretary, and the other women in the Brisbane office as friends. 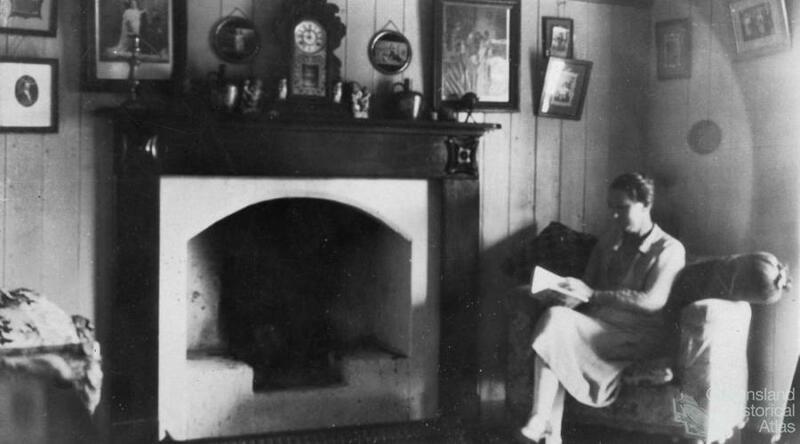 Membership in the Queensland Bush Book Club declined during World War II in the face of shortages in paper, petrol and donated books. In the next decades the Queensland Railways closed a number of its smaller branch lines and the Club lost more subscribers. 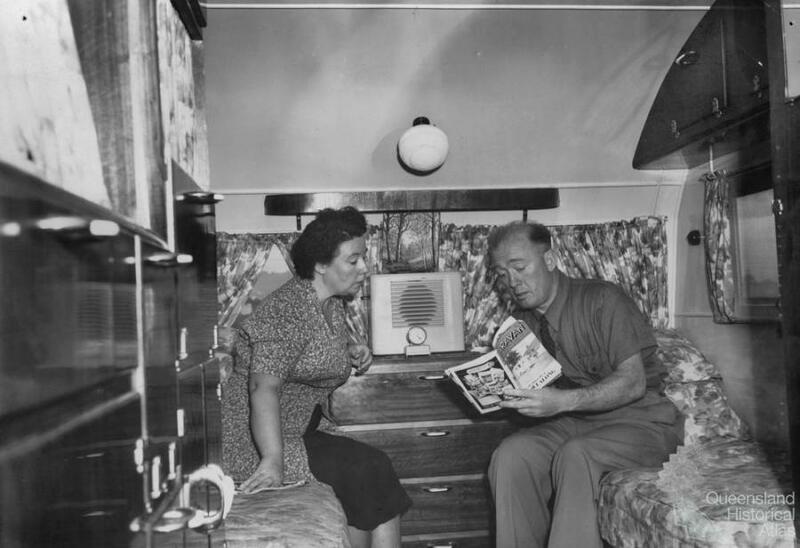 Better roads, the establishment of regional libraries, as well as cars, radio, telephone and television, all helped ease the isolation of earlier years. The Club closed its doors in 1967. The Queensland Bush Book Club was important because it reached out to an otherwise ignored constituency at a time when there was no other book lending service to remote communities. City women forged a bond with country women and enriched the cultural experience for many. The Club laid the groundwork for the establishment of public library service in rural areas and helped sustain a reading habit over the course of 46 years, touching thousands of individuals. I have had the most entrancing holiday, visiting Java with Winifred Ponder. I have been admitted to Farthing Hall and watched the development of a romantic love story and enjoyed the domestic difference of two very likeable people. I have joined Lord Peter Whimsey in his pursuit of the murderer in The Crime at Bellona Club and positively swaggered up and down the Spanish Main in the wake of Captain Blood. Now I am going back to my mending and banking and cleaning with heaps of new friends and much to think about and many incidents to laugh over. It’s a wonderful thing to laugh. Such a pity that one so soon forgets the trick of it surrounded by miles of parched brownness and dazzled by heat haze, with the dreary knowledge in the background of dying cattle and overworked men-folk — But I feel ever so refreshed with new things to think and talk about.